Keepa Maskey finished her education from Marymount Manhattan College, NY in 1997. Her grandfather, Krishna Bahadur Chitrakar was an artist, who she would watch prepare panels of work for national events, as a child. But, it is her paternal grandmother, Nani Maiya Maskey, who has influenced her throughout her creative journey; a stern character with immaculate manual skills. Perhaps, that also explains Keepa’s prolific works on textile, which she feels is inherent to her. As her practice matured​​ and diversified, she finds herself connecting to performance art. 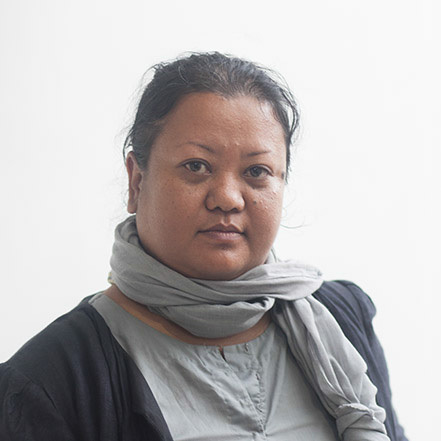 Keepa Maskey is currently based in Kathmandu.